Home > Poultry Blogs > Poultry Ventilation Blogs > What Is The Difference Between Recessed Wall Inlets and Flush Mount Wall Inlets? Ideal broiler flock performance is greatly affected by correct ventilation management. 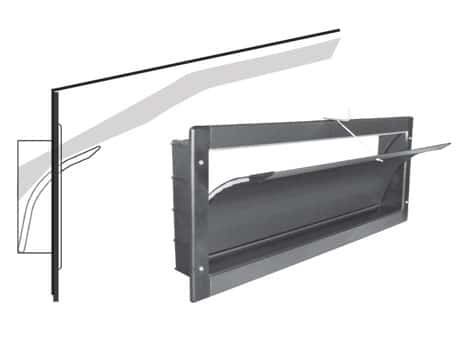 It is important to note not all poultry sidewall inlets are created equal - some poultry sidewall inlets are better at directing air across the ceiling than others. As the poultry industry is evolving, house design and construction are evolving too. The basic principles outlined here about ideal air mixing become more difficult to achieve in the wider super houses (larger than 60 ft. wide) without the correct equipment. 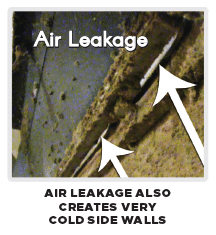 The European Sidewall Inlet with the curved blade is the ideal design to achieve complete air mixing in houses. The curved blade helps direct more air across the ceiling and creates an efficient air jet that will reach the center of these wider houses with ease. Utilizing an older style galvanized door would result in a decrease in efficiency and ultimately more stale and damp air through the center of the house. Trying to properly ventilate a “super house” without utilizing a curved blade is similar to trying to win the Super Bowl with a soccer ball. If you don’t start out with the appropriate equipment, you are inherently setting the system up to fail or not perform efficiently.